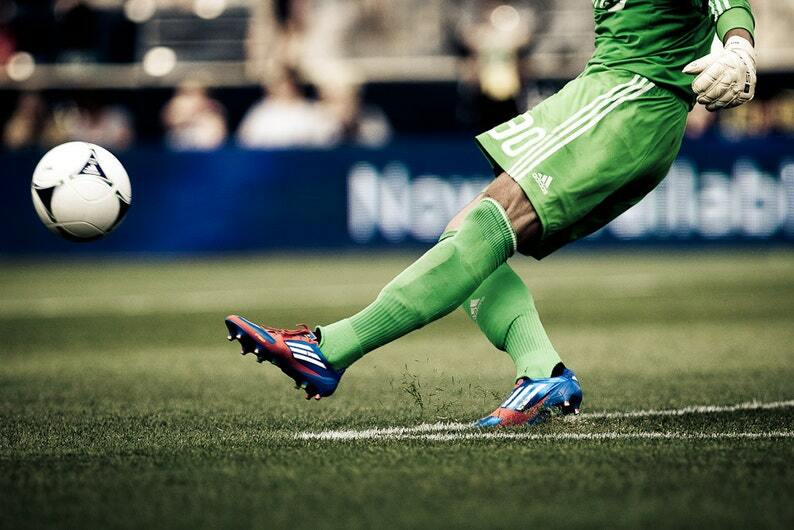 Professional goalkeeper launching a free kick. I love sports photography. Being on the sideline with a few cameras strapped to my neck and monopod just a few feet away from the action is one of my favorite places to be. Although my main goal is to document and capture the action, I am always looking for opportunities to capture the sport as art.